New Jersey is a state committed to the education and welfare of its citizens. It is a state that recognized that education is an important step to future happiness as well as economic security. Because of this, NJ provides many need-based scholarships and grants for those who wish to further their education, but may not have the means to do so. The New Jersey Tuition Grant is a need-based program, designed to help low and middle-income students succeed in a college environment. The amount an individual may receive is based on need, available funds, and the cost of attendance in their school of acceptance. This grant may cover up to the cost of tuition and is available to any U.S. citizen who is a permanent resident of New Jersey (has been for at least twelve consecutive months). They must be enrolled at an approved school, as well as a full-time student in an approved degree. Additional eligibility requirements include maintaining healthy academic progress, not having a baccalaureate degree (or associate degree if enrolled at a two-year college), and not being in default on a federal or state student loan. In addition, you may not owe a refund on a federal or state grant nor may be enrolled in a program leading to a degree in theology or divinity. A FASFA (www.fafsa.ed.gov) must be completed by state deadlines. A similar grant is available for part-time students. The Part-Time Tuition Aid Grant, known as TAG, follows the same requirements and stipulations as the New Jersey Tuition Grant, but for students taking 6-11 credits per term. The Educational Opportunity Grants Fund contributes supplemental aid for books, fees, and board that are not covered by New Jerseyís Tuition Aid Program. The awards vary and are need-based and renewable. This grant is open to all New Jersey residents who are economically disadvantaged, no matter field or type of study; a FASFA is required to apply. Students attending New Jersey high schools in economically distressed areas are considered for the New Jersey Urban Scholars Program. The requirements are much like the Edward J. Bloustein Distinguished Scholars Program (below). Individuals who are considered must rank in the top 10% of their class. Their GPAs must be 3.0 or better at the end of their junior year. Candidates must be nominated by their high schools and be New Jersey residents. They must attend an approved New Jersey college or program. In addition to need-based programs, there are many New Jersey grants and scholarships available to those who demonstrate superior efforts in academic pursuits. Here are several of those programs. The NJ Stars Scholarship Program is for New Jersey residents. It covers tuition for in-state schools and is awarded to students who graduate in the top fifteen percent of their high school. This is a strict, rigorous program that begins with a series of high school courses. The New Jersey Commissions of Higher Education, as well as the New Jersey Commissioner of Education, determine which courses are eligible. Students are eligible for five semesters for NJ Stars. Students who wish to qualify for this program must take twelve credits per semester, though they are allowed up to eighteen, if they can handle more. They are allowed to take less for their final semester, if that is all they need to graduate. Students who require a sixth semester for their major will pay for it, but will still be eligible for NJ Stars II. In addition, students are required to take a college placement test before they can receive their eligibility. Individuals who graduate high school but do not immediately go into college will have one year (of their own cost) to improve their skills and become college-ready. They retain their eligibility for five semesters upon enrollment within that year. College credits earned during high school will be admissible to this program. Students must earn a 3.25 GPA upon graduating from college to be eligible for NJ Stars II, and a 3.0 moving from freshman to sophomore years. NJ Stars must be enrolled in an associate degree and maintain continuous full-time enrollment. The Outstanding Scholar Recruitment Program is available to high school students who excel on the SAT. This program is only available to first-time freshmen, though any U.S. citizen may apply, as long as he or she is prepared to go to school in New Jersey institutions. The awarded amounts depend on class rank and combined scores, but students must maintain a B average for renewal. The minimum awarded amount is $2,500, while the maximum is $7,500. The John Starks Foundation “3 Point Scholarship” is a fund that awards $2,000 to high school students who have a GPA of 3.0, show financial need, and commit to community service. This is not a renewable scholarship, but students may enroll in a two-year or four-year accredited school and reapply for their second year as long as they have held their 3.0 GPA throughout their first year. It is important to note that only the first 200 applications for this scholarship are considered, so early entry is vital. The Robert C. Byrd Honors Scholarship Program prides itself on choosing the best of the best. Students who have been accepted for enrollment at eligible schools, have top ranks in their graduating class, GPAís nearing 4.0, and excellent SAT scores are encouraged to apply. They must also demonstrate leadership skills and a continued interest in learning. It is important to note that, while this program is not limited to schools only in New Jersey, it does not include any military academies. The Edward J. Bloustein Distinguished Scholars Program is said to be a cut above the rest. Students applying must be in the highest percentile of their graduating class. This means they must graduate first, second, or third in class rank, or be in the top 10% of combined SAT math and reading scores at the end of junior year. These students are awarded up to $1,000, no matter of financial need and may be eligible for up to four years of undergraduate study in New Jersey. They must enroll full-time. It is important to note that, due to funding issues, this program may be suspended for individuals who graduated post-2010. Need and academic scholarships arenít the only kinds to be found within New Jersey. The following grants and scholarships are in dedication of the sacrifice and bravery of others. The World Trade Center Memorial Scholarship provides financial aid to those who have been permanently and severely disabled, lost someone, or had someone in their family become disabled during the attacks on September 11th, 2001. Full-time undergraduate students attending approved colleges and postsecondary institutions are eligible, whether they go to school in New Jersey or not. The scholarship covers up to $6,500 in intuition, educational fees, room and board, books, supplies, and transportation. In order to apply, you will have to show proof of involvement personally or proof of relationship with involved person. The application (found here) is to be completed along with the FASFA. The Law Enforcement Officer Memorial Scholarship Program provides aid to children whose parents were law enforcement officers killed in the line of duty. Benefits include the cost of attendance (up to $10,000), minus other scholarships, grants, and benefits. It is renewable for up to four years. Individuals who are interested in this kind of scholarship may also consider Public Safety Officers, which highlights the survivors of fire fighters and paramedics. In addition, they may be eligible for the Survivor Tuition Benefits Program. Another survivor scholarship is known as the Tuition Assistance for Children of POW/MIA program, which awards $500 each year to undergraduate students who are children of prisoner of war/missing in action military veterans who are enrolled in a New Jersey college. Another side of sacrifice is duty. There are also scholarships and grants for individuals who serve New Jersey communities themselves or who are family members of those who have or are currently serving. The Ron and Core Lee Children of Law Enforcement Officers Scholarship is for students who have a parent retired or currently working in a law enforcement agency that has arrest powers. Applicants must have at least a 2.5 GPA, apply in their senior year, and will need to be prepared to attend full-time in the Fall. The Veterans Tuition Credit Program (Fall and Spring) helps veterans who served in the military during the time period of December 31st, 1960 ñ May 7th, 1975 to pay for college. The rewards are between $200 and $400, and are eligible to any kind of student, in all majors. To qualify, veterans must have been New Jersey residents at the time of induction or discharge. Another option is to have been residents for at least a year before applying. There are scholarships and grants awarded to individuals for many reasons. One such reason would be because you are born into a minority family. Here are a few scholarships that focus on breaking the cycle of inequality. The Portuguese-American Scholarship Foundation offers a number of scholarships and grants to qualified New Jersey students of Portuguese ancestry who seek to gain a Bachelorís degree. Applicants must be New Jersey high school seniors that are or have parents or grandparents that are Portuguese-born. 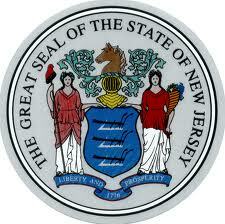 They must be U.S. citizens and be continuous residents of the state of New Jersey for twelve months. Students must also demonstrate financial need and be applying to or accepted into a four-year higher learning institution. A grade point average of a B or better is also required. The HSF/Nissan Community College Transfer Scholarship Program is a program created by the Hispanic Scholarship Fund as well as Nissan North America, Inc. The purpose of this program is to assist outstanding Community College transfer students of Hispanic heritage. Applicants must transfer to an approved four-year institution from a part-time or full-time community college. Must also be pursuing a degree in Business, Engineering, Communications, or Media Arts. In addition, a GPA of at least 3.0 or better is required to receive the awarded $2,500. The Migrant Education Program (Year 4/5) is a program designed to ensure that children of migratory farm workers and migratory fishers are given the same opportunities to succeed as every other child in New Jersey. The New Jersey Department of Education has established a five-year program that provides provisions for such children. Awards vary based on school, available funds, and eligibility. It is based on a competitive selection process provided by Essex County Educational Services Commission and Gloucester County Special Services School District. To find out more about this program, individuals are encouraged to contact the office of Student Achievement and Accountability. Formerly the NJUA Equal Employment Opportunity (EEO) Scholarship Award, the Excellence in Diversity Scholarship awards an average of $1,500 yearly to several high school seniors, selected by the NJUA Scholarship Committee. Applicants are judged by varying qualifications and diverse qualities. To learn more about the requirements of eligibility, students are encouraged to download and complete the application, which will be made available in January of 2012. You can find it at www.njua.com. NJUA Excellence in Diversity Scholarship Award for Minorities awards a maximum amount of $6,000 to high school seniors who are a part of a minority group, including Hispanic, Black, Native Hawaiian, Asian, American Indian, or Alaskan Native. It also includes individuals of two or more races. Applicants must demonstrate financial need as well as academic excellence, and not have a parent employed by a NJUA member company. Two letters of recommendation, financial need forms, and a copy of a high school transcript are required to apply. Contests are also a good way to earn money for higher education. These contests offer prizes to those individuals who are willing to write essays to earn money. CMAA Mid-Atlantic Chapter Student Leadership Award is a scholarship based on essay entries. The topic for this year is ìDescribe your vision of the construction mangerís role in the future and how our role may improve current construction practices,î and the length is to be 1,500 to 2,500 words, not including references and a brief biography. Applicants must be full-time or part-time students pursuing an undergraduate degree for the construction industry. Proof of enrollment and most recent grades must accompany submission of essay. The amount and number of grants depends on funds available, but usually fall between $500 and $2,000. Sometimes there are grants and scholarships that an individual can win, simply by having the courage to stand against conventional ways of thinking. These awards are for people who show themselves to be outstanding, unique people. The Bassil Hayspell Merit Award is based not only on academic achievements but also on personality qualities like leadership and personal strength. Awards vary from $500 to $1,000, depending on the kind of school the applicant is attending, though the actual amounts vary depending on the amount of scholarship funds available. Individuals who believe they would make strong candidates should fill out the BCMP scholarship application form, secure a copy of their official transcript, and gain two letters of recommendation. Eligible candidates are in or have been accepted by an accredited college, university, or vocational education institution. They also must be a full-time student for the amount of time the scholarship is granted. In honor of a resident adviser at Seton Hall, the Dana Christmas Scholarship for Heroism is awarded to up to five students each year. It can be applied for by college and graduate students and is worth up to $10,000. Eligibility stems from acts of heroism or self-sacrifice by applicants who are 21 or younger at the time. Individuals must be enrolled in an eligible school. This scholarship is unique to New Jersey. The LIVE OUT LOUD Educational Scholarship was created to give aid to lesbian, gay, bisexual, and transgender (LGBT) individuals interested in gaining a college degree. To be eligible, students must be attending or planning to attend an accredited college, university, or technical/vocation program after high school or within a year of graduating. Applicants must complete the application form, acquire two letters of recommendation, and finalists must participate in a personal interview. Winners are chosen based on personal essay, leadership skills, community service involvement, financial need, and future goals. Applicants should be graduating seniors who identify as LGBT. Not all grants are given to people. Instead, they are sometimes awarded to schools. While this may not help an applicant directly, New Jersey gives monies to schools that go above and beyond the expectations of regulations. These programs can help students make the best application choices, based on institutions that give as well as they get. The College Access Challenge Grant Program has a ìtools for college accessî motto. It is part of the federally funded College Access Challenge Grant and provides high-achieving students with exposure to college through an intensive summer experience. There are several institutions that fall under the category of these programs. It is important to note that this grant is generated toward schools rather than students. Still, schools that are recognized are so, based on many criteria, some of which lend themselves to student happiness and ease of systems. This program is for New Jersey students who have completed their junior year of high school and provides a multitude of educational activities for low income, high-achieving, or first-generation students with the goal to motivate them into obtaining higher education. For the duration of their attendance, students will be subjected to institutional characters such as problem solving, leadership training, and team interaction. They are structured around specific disciplines and expose students to higher level learning. The Disengaged Adults Returning to College Grant Program is targeted toward adults older than 20, who left a New Jersey institution within the past ten years, in good standing, without earning a degree. They should have earned at least 50% of credits toward the degree. This program is funded by a three-year federal grant and is awarded to colleges, rather than specific individuals. For a list of receiving schools, please visit www.nj.gov. The average amount invested into each winning institution is $75,000 and based on requests for proposals. Disengaged Adults Returning to College Grant Program II was the second run for this scholarship. A different set of schools established their own fund, based on winning proposals. Dual Enrollment Incentive Grants are provided to schools that target credit bearing courses in mathematics, science, and writing. Dual enrollment enables students to earn college credits while they are still enrolled in high school. Funds from this grant can reimburse employees for travel, train high school teachers to provide the instruction, and reimburse for books and tuition for students who have demonstrated financial need. They cannot be used to supplement salaries, for food, or for other activities not directly related to the mission of the project, which is to further education for high school students. Awards average $20,000 and people interested can find a list of participating colleges here. This program encourages access to higher education though student assistance programs. The awards under this grant have been around $10,000 to each college and the list can be found here. The College Bound Grant Program addresses the needs and aspirations of at-risk youth in grades 6-12. These grants provide money to schools that participate in GEAR UP (Gaining Early Awareness and Readiness for Undergraduate Program). These five programs (after-school and Saturday tutoring, test prep, summer programs, mentoring, information and college visits) anticipate serving almost 2,000 students. Illness can be devastating to one person and inspirational to the next. The following grants and scholarships are centered on individuals who suffer from a disability and still stand strong in the face of doubt. The Tom Coughlin Jay Fund Foundation Scholarship is awarded to residents in Bergen, Essex, Hudson, Passaic, and Union Counties of New Jersey who have had a diagnosis of leukemia or cancer, prior to being age 21. Meant to inspire survivors and those who are still living with disease, individuals who are seeking the scholarship are judged on a number of categories. Academic history, leadership ability, and moral character are some of the attributes distributed by the winners each spring. The recipient must be enrolled in or planning to enroll full-time in an accredited college or university. The reward from this fund is $1,500 annually, for up to four years. Anyone who has questions or wishes to receive an application should call (904) 543-2599. Lighthouse Scholarships and Career Awards help students who are blind or partially sighted to achieve their career goals. There are four categories for these awards, and each of them offers $5,000 in recognition for excellence. The first category is the College-bound Award. This is for high school seniors or recent graduates planning to begin college. The next category is the Undergraduate Award I, for individuals who may apply anytime turning their studies. Next comes the Undergraduate Award II, for college students pursuing an undergraduate degree after being absent from schooling (high school or from an accredited undergraduate program) for ten years or more. The last category is the Graduate Award, for college graduates or seniors planning to pursue a graduate level program. In order to be eligible for any of these programs, an individual must be legally blind. Scholarships are based on academic and other achievements and are not based on need. Candice’s Sickle Cell Disease Scholarship was created to raise awareness of sickle cell disease. In order to receive the $1,500 award, individuals must send in a 250-word essay. This essay must detail how sickle cell has affected the applicantís life and the pursuit of education, the applicantís educational goals and plans to achieve them, and describe persons in the applicantís life who had been vital to his or her perseverance. In order to be eligible, the recipient must complete all high school credits by June. In addition, the individual must be present at the Scholarship Luncheon in order to receive their award. There are funds available to individuals who live in a particular part of an area. These programs are designed to ensure that everyone has a chance at success, no matter which side of the tracks they grow up on. The Bridgewater College State Incentive Grant awards an average amount of $2,500 to incoming freshmen who are residents of certain states. This grant is available in many different states, so getting the right application can be difficult. The best way to find the appropriate application is to inquire through www.hesaa.org. The Mannington ìStand On A Better Worldî Scholarship is awarded to five NJ high school seniors in Salem County (Vo-tech students may also apply). Awards are $1,000 and only available to seniors graduating in the spring. Applicants must be enrolled in college, university, or trade school for the fall. They must demonstrate dedication to community service, and submit the application form along with recommendations. Eastern Monmouth Area Chamber Of Commerce Education Foundation awards scholarships of $1,250 to individuals from three different categories. Typically, they only accept full-time students, but part-time students are allowed to apply and are considered if their applications are strong enough. The first category is for a ìreturning student.î This student has had his or her education interrupted and is older than 24. The second category is for a college student entering their junior or senior year. This category is need-based, for individuals struggling to complete a degree due to increased expenses or decreased finances. The last category is for vocational students pursing post-high school education. Post-high school vocational education does not include pursuit of a four-year college degree. It is in this diverse category you will find the most scholarships. These programs are based on extracurricular activities, as well as interests and accomplishments. If youíre focused, and know just what you want to go to school for, these are the programs for you. The AAHA Lou Manzione Scholarship is designed to help students continue their education beyond high school. One reward of $1,000 is given to a high school senior in New Jersey who is registered with USA Hockey. Applicants are asked to write an essay of 500 words or less on ìThe Value of High School Hockey to My Personal Development.î Selection is based on essay score, coachís recommendation, teacher evaluations, and extracurricular activities. This is not a need-based scholarship and is nonrenewable. The Benjamin C. Blackburn Scholarship is run by The Friends of The Frelinghuysen Arboretum (a partner of the Morris County Park Commission). It awards one or more scholarships equaling $2,000 for students enrolled in the Landscape Technology program. This program is for New Jersey residents who have completed at least 24 college credits in related coursework. They must have a GPA of 3.0, have declared their major, and planned a career in Horticulture, Botany, or a related field. They must also be enrolled in the Landscape Technology program at Morris County College and have the ability to speak briefly of their horticultural accomplishments, interests, and care plans at The Friends of The Frelinghuysen Arboretumís Annual Meeting. The College Student Correspondent Scholarship Program is for undergraduate writers seeking to further their education. Applicants must be residents of New Jersey and submit articles that have been published in a professional newspaper. This newspaper must be published weekly or daily and be a member of the New Jersey Press Association. Applications should include a short essay as well as a letter of recommendation from a supervising editor. The award is $1,000 and given to an average of five individuals with outstanding applications. NJNF Internship/Scholarship Program is funded by the New Jersey Newspaper Foundation. Every year it gives an average of $3,000 to five or six undergraduate students who are New Jersey residents. Individuals who win these scholarships must be enrolled as full-time students and planning to return to undergraduate school in the fall. The purpose of this scholarship is to promote journalism careers and newspaper readership. Each year, the New Jersey State Golf Association gives between $1,500 and $3,000 to over 200 undergraduate students who are New Jersey residents with caddy experience, in a scholarship called NJSGA Caddie Scholarship Foundation. Individuals are selected based on their academic performance, financial need, and length and quality of service as a caddy. This scholarship is renewable for up to four years. The Bernard Kilgore Memorial Scholarship is a statewide competition sponsored by the New Jersey Press Foundation and the Garden State Scholastic Press Association. 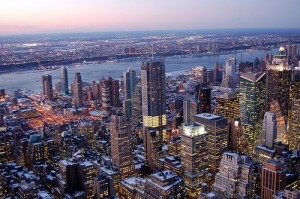 It is valued at $5,000 and the recipient is selected by a panel of New Jersey newspaper editors. In addition to the monetary award, the winner is also named Journalist of the Year and entered in a competition for the National High School Journalist of the Year. The Roothbert Fund Scholarships Program is a program that provides grants for undergraduate or graduate students at accredited colleges and universities. The fund is for students who are ìmotivated by spiritual values.î It accepts applications for grants by way of essay, recommendations, and transcripts. Of these entries, a group of finalists will be invited to a personal interview. Based on that, the institutions select about twenty new recipients each year. Applications are accepted through a three-month period, between November 1st and January 31st. It is important to note that the forms change yearly, so it is vital that applicants receive their applications from credible sources. Glamour Magazine awards the Ruth Whitney Scholarship. It is geared toward college students who have experience in writing, reporting, or design who have demonstrated interest in magazine journalism or publishing. High school seniors, college undergraduates, and graduate students are all eligible as long as they are majoring or plan to major in a communications-related field. This includes but is not limited to advertising, broadcasting, communications, English, film, journalism, marketing, new media, or public relations. They must have a GPA or 3.2 or better and will be selected based on need, academics, leadership skills, goals, and circumstance. Finalists will attend an in-person interview. James R. McCormick Memorial Scholarship is run by the Jersey Shore Public Relations and Advertising Association. This is a program open to students who live in Ocean or Monmouth Counties studying communication at an accredited junior or community college, university, college or professional trade school. Graduate students are not eligible. Instead, individuals wishing to apply must be in their second year of a two-year program, or at least in their second year of a four-year program. The program is open to residents of the Ocean or Monmouth Counties, no matter where they actually attend school. To apply, individuals must submit a letter of recommendation from a teacher in public relations, advertising, radio/television broadcasting, or journalism. Otherwise, they can be an active, dues-paying member of the JSPRAA in good standing. Application packets should include the scholarship application (available at www.jspraa.com), recommending letter, a letter from the applicant stating career goals and how receiving the scholarship will further those goals, a resume, and a transcript of grades from current school. An unofficial copy is acceptable. My daughter will be attending Rider University September 2014. I am interested in three scholarships listed above. Any assistance will be greatly appreciated. Thank you for your advanced assistance. Have a good day.